Question #1: Can you come at any time? We are available 24 hours a day 7 days a week 365 days a year for emergency services and we will dispatch a team right away. Just give us a call and help will be on its way. If you have a non-emergency problem that requires any of our services, we will be happy to set up a same day or next day appointment to asses any concerns you have about damages to your property and provide you with an estimate. Question #2: How long will it take you to arrive at my place? We can be anywhere in the Greater Toronto Area in 30 to 90 minutes depending on traffic conditions hour and whether or not we are in the middle of catastrophic storm and our teams are responding to multiple claims. Question #3: Will my damages be covered by my insurance company? Depending on your homeowners’ policy, you may or may not be covered. 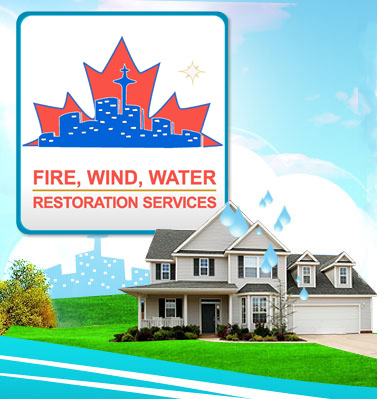 Most policies do cover many types of accidental water escape, fire damage and damages from wind or hailstorms. One of our supervisors can assess the damage and give you the proper information to forward to your insurance company without delaying an immediate response needed to mitigate the loss.We will help you if you lack the proper insurance coverage, providing you with discounts, flexible rates and or terms. Question #4: Are your technicians trained, experienced and knowledgeable? Yes all our technicians are trained, IICRC certified and have many years of experience in the cleaning and restoration industry.In many cases the first responders to start cleaning up a mess may be an assistant technician who has had training with our IICRCCertified Master Water Restorer and our fire damage technicians and will be accompanied by a Lead Technician in the following minutes to work and oversee all initial emergency cleanup efforts.A senior project manager will always be visiting the site, monitoring the drying progress and will available to help you with your insurance claim. Question #5: Do you have the proper equipment for any size of job? 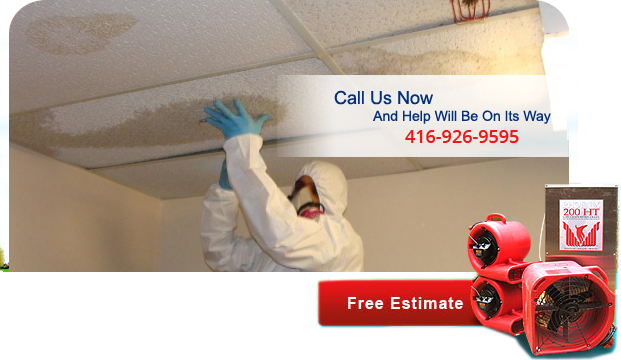 GTA has been involved with many projects of all sizes and was the lead on site response team for water damage emergencies such as the Delta hotel Toronto 2006, The Adelaide club in the BMO building in downtown Toronto 2008, the CBC building Toronto 2009, Airport Marriott 2009, The Marriott Hotel, Downtown Toronto and many more over the years. You can have a look at our projects or catastrophic storm response page to see what we have accomplished in the past few years. We have a fleet of vehicles, many with truck-mounted cleaning capabilities as well as over a 500 pieces of the latest in speciality structural drying equipment. Big or small, we clean it all. Question #6: I have never been through this before what do I do? Don’t panic and let us help you. We will come to your aid and work on your behalf. Should the need arise, the Owner and President, Chad will always make the time to meet property owners at the site location to help assure clients that he is providing his best efforts to preserve their property and its value.